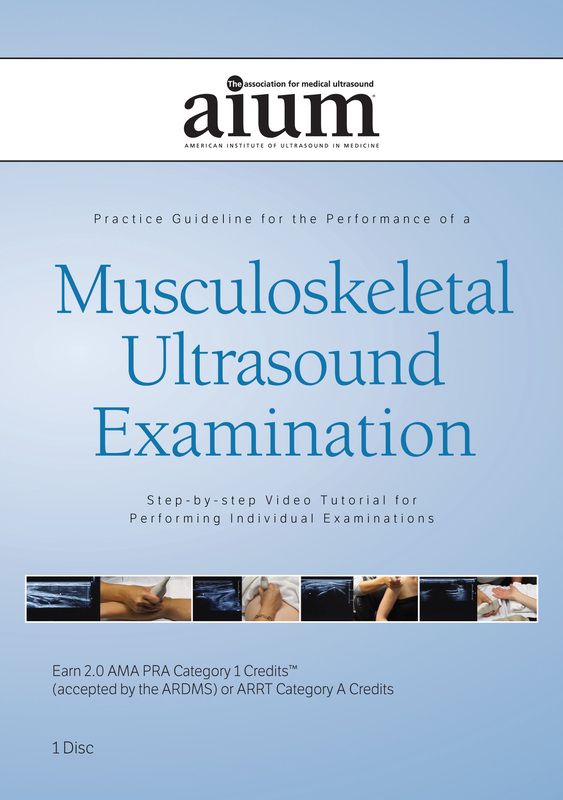 This tutorial demonstrates the techniques for performing the sonographic evaluation and acquiring views for each joint recommended by the AIUM Practice Parameter for the Performance of a Musculoskeletal Ultrasound Examination. Using live models, this program is designed to illustrate the correct implementation of the clinical practice guideline recommendations. The learner attributes addressed are patient care, medical knowledge, and practice-based learning and improvement. Earn 2.0 CME credits. CME credits for this DVD program are available through July 1, 2019. The online CME test is $15 for AIUM members, $80 for nonmember physicians, and $40 for nonmember sonographers and nonphysicians.